LATINA BOOK CLUB: HAVE FUN WITH YOUR BOOK CLUB! HAVE FUN WITH YOUR BOOK CLUB! As you celebrate Thanksgiving with your loved ones, think also about how to celebrate Reading. I love to read. I love to discuss books with friends. I love to be adventurous. Luckily my New York City bookclub allows me to be all those things. For example, I am a member of the Comadres, Compadres & Friends Bookclub in New York City. 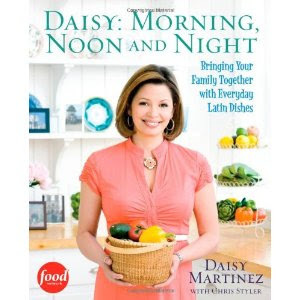 Our book for November was Daisy Martinez’ cookbook, DAISY: MORNING, NOON AND NIGHT. Now you may wonder how a bookclub can discuss a cookbook and if it makes for good reading. I’m here to tell you that we did and it does. Not only did we discuss the cookbook, but we went one step further and asked all the members of the book club to bring a dish that they cooked using one of Daisy’s recipes. We had a feast! There was rice with corn; chicken with garlic; empanadas with corn; empanadas with carne; watercress / pear/ pomegranate salad; Peruvian salad (with garbanzos and colored peppers); and of course, pumpkin flan. 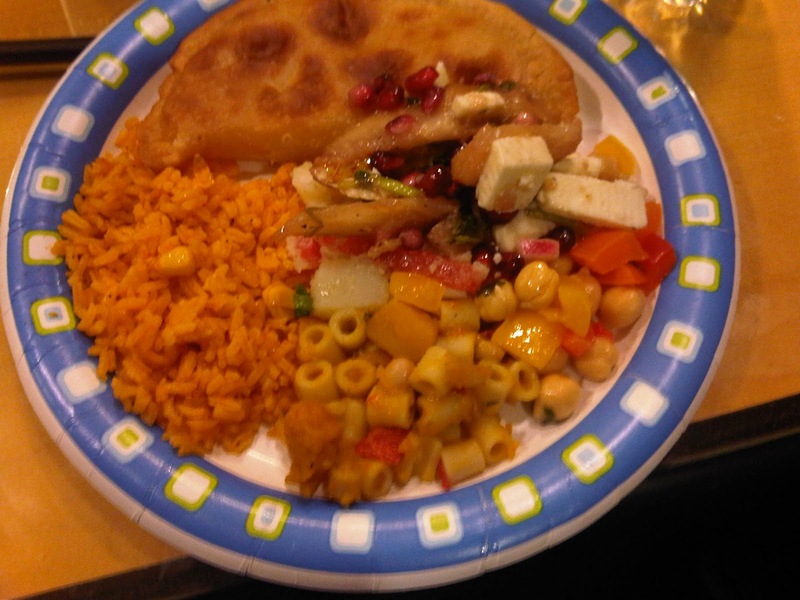 The picture on the left is one of the actual plates of food at our meeting. We stuffed ourselves as we discussed cooking techniques, our favorite holiday recipes, comfort foods and how to cook for diabetics. It was fun and delicious! This was not the first time the NYC Comadres Bookclub got creative and adventurous! 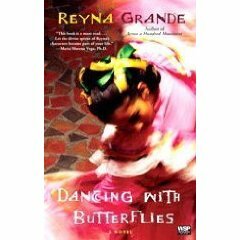 Earlier this year, we read DANCING WITH BUTTERFLIES by Reyna Grande. It was all about a dance troupe of folkloric dancers. To celebrate the book, some of the club members went to see the Ballet Folklorico de Mexico de Arianna Hernandez. 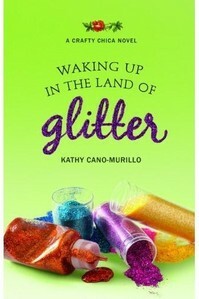 And later, while discussing Kathy Cano-Murillo’s book WAKING UP IN THE LAND OF GLITTER, we made our own bookmarks with – you guessed it -- lots of glitter. I recommend going outside the bookstore or the living room with your bookclub every once in a while, especially if you have a book that just screams “adventure.” For example, if the SHOPAHOLIC books are on your reading list, why not hold the discussions at a café in your favorite clothing store or mall. If you are reading Caridad Pineiro’s Dark Series with vampires, how about adding a tour of the local cemetery or a visit to a Botanica and talk to the local voodoo priestess. DO LEAVE A COMMENT. Let us know what fun things your bookclub has done to celebrate reading. AND HAVE A HAPPY THANKSGIVING! BUEN PROVECHO!